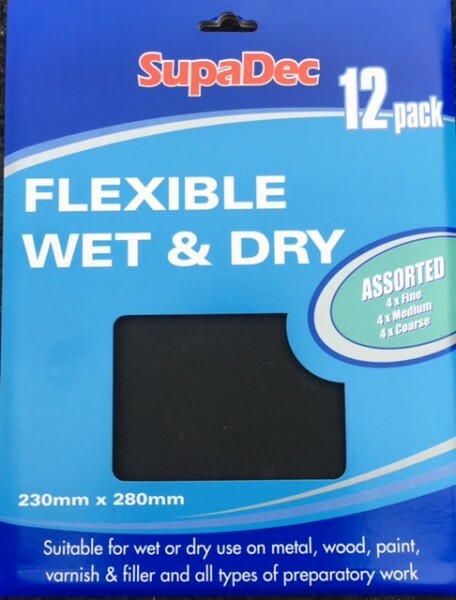 Pack of 12 sheets of Wet & Dry Emery Paper. 4 sheets of each grade fine, medium and coarse grit. For fine finishing of patterns and moulds plus numerous other applications.